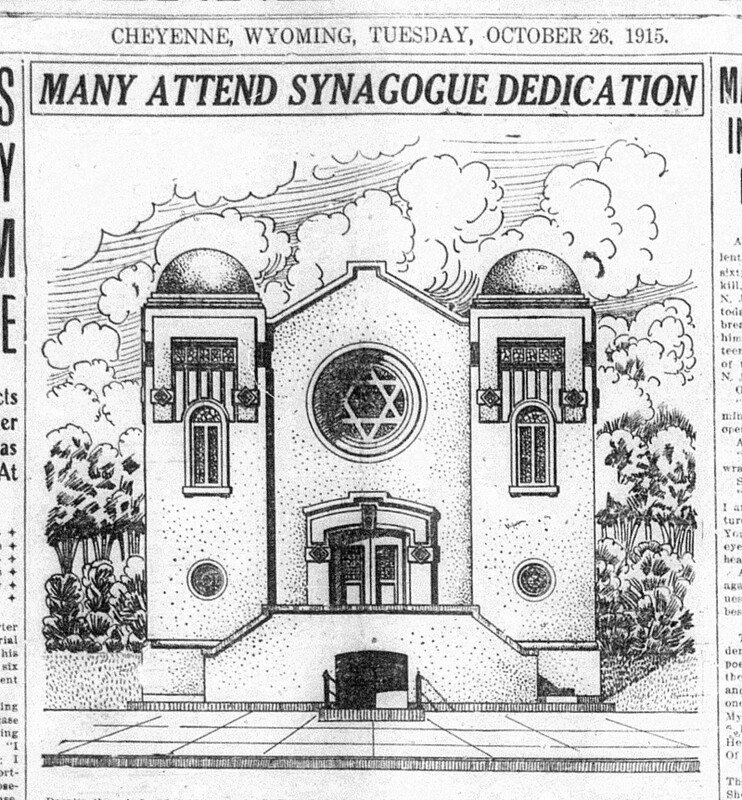 Today marks the 100th anniversary of the dedication of Wyoming’s first synagogue – Mt. Sinai in Cheyenne. 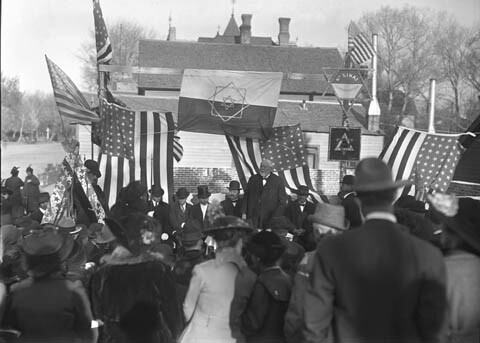 In October 1915, photographer Joseph Shimitz documented the dedication of Mount Sinai Synagogue, Wyoming first synagogue. The Mt. Sinai Congregation was incorporated in December 1910, and six years later a $20,000  building was constructed at 1921 Pioneer Avenue. This drawing of the completed Mt. Sinai Synagogue accompanied the newspaper coverage of the dedication ceremony. 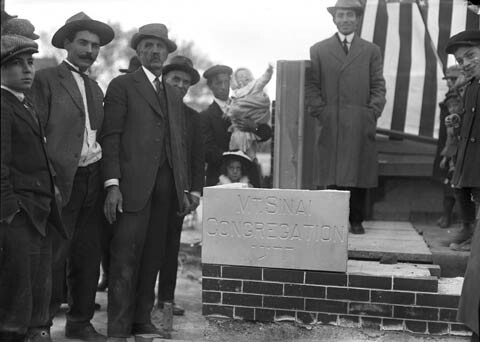 Before the building was constructed an impressive dedication service was held on Sunday, October 24, 1915. The Cheyenne State Leader reported a large attendance at the ceremony. Among the speakers were Mayor Robert n. LaFontaine and former Governor Joseph M. Carey. Senator Joseph M. Carey speaking at the dedication. The synagogue served the congregation for many years until 1951 when the present synagogue at 2610 Pioneer was constructed. A plaque marks the site of the first building, now part of the City and County Building. The cornerstone for the synagogue. 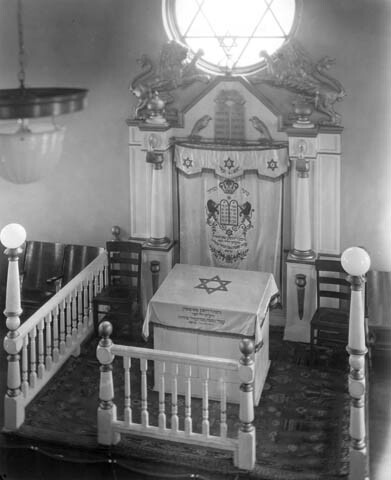 Interior of the Synagogue after completion. 1. Accounting for inflation, the building would have cost over $460,000 today.